C 14.24 contiene una ricca sinergia di componenti vegetali, impreziosita dall’estratto di Manilkara, che aiuta a contrastare il rilassamento cutaneo tonificando e rassodando la pelle e donandole un aspetto più elastico e compatto. 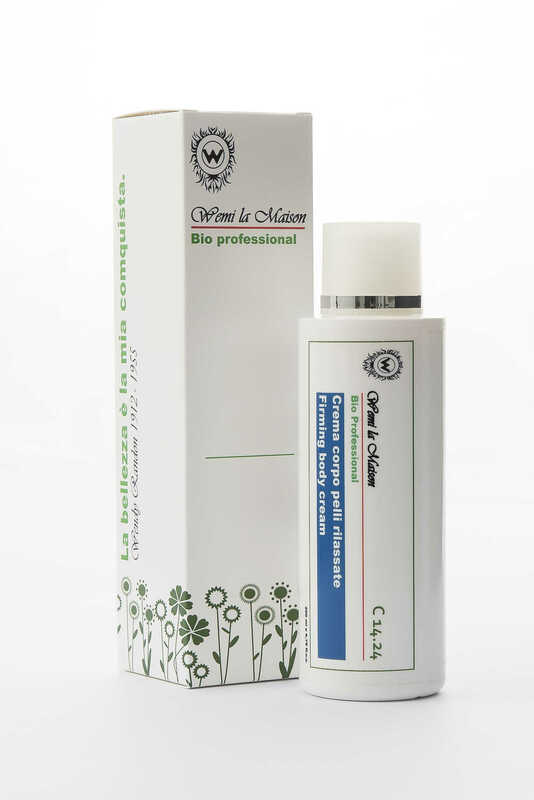 C 14.24 contains a rich blend of plant-based ingredients, enriched with Manilkara extract, which helps to counteract sagging by toning and strengthening the skin for a more elastic and compact appearance. Aqua, Caprylic/capric triglyceride, Glycerin, Cetearyl alcohol, Polyglyceryl-3 stearate, Sodium stearoyl lactylate, Tocopheryl acetate, Vitis vinifera seed oil (*), Manilkara multinervis leaf extract, Butyrospermum parkii butter (*), Panax ginseng root extract (*), Echinacea angustifolia leaf extract (*), Eucalyptus globulus leaf extract (*), Glyceryl stearate, Retinyl palmitate, Allantoin, Lactic acid, Phenethyl alcohol, Caprylyl glycol, Parfum.